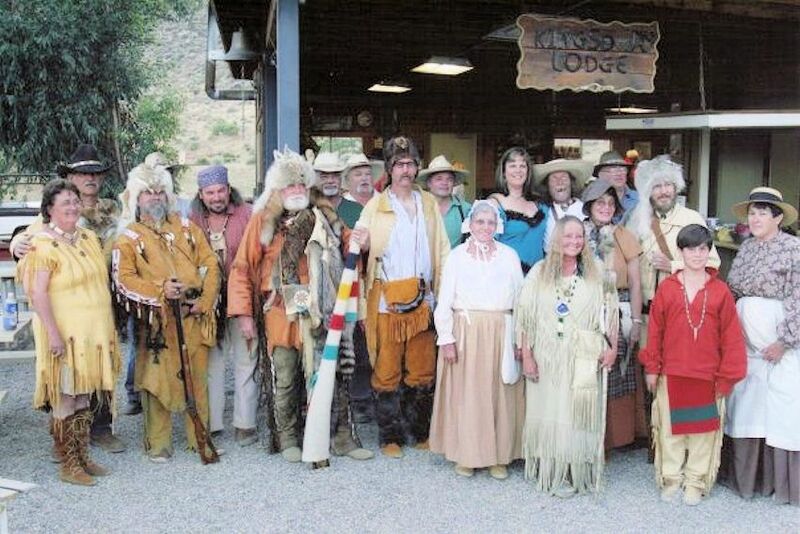 Experience the pre-1840s fur trade era at the 39th Annual Sonoma Valley Muzzle Loaders Rendezvous on April 18-21, 2019 at the Marie Hill Ranch in Yorkville, California. 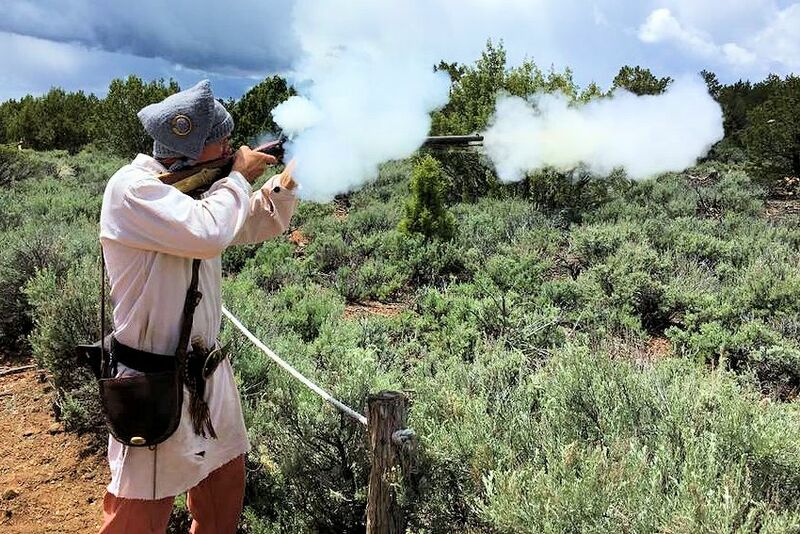 Dressed in period garb, rendezvous participants will compete in target shooting, tomahawk throwing, fire making and other skills the mountain men of the fur trade era needed to survive in the unforgiving wilderness. 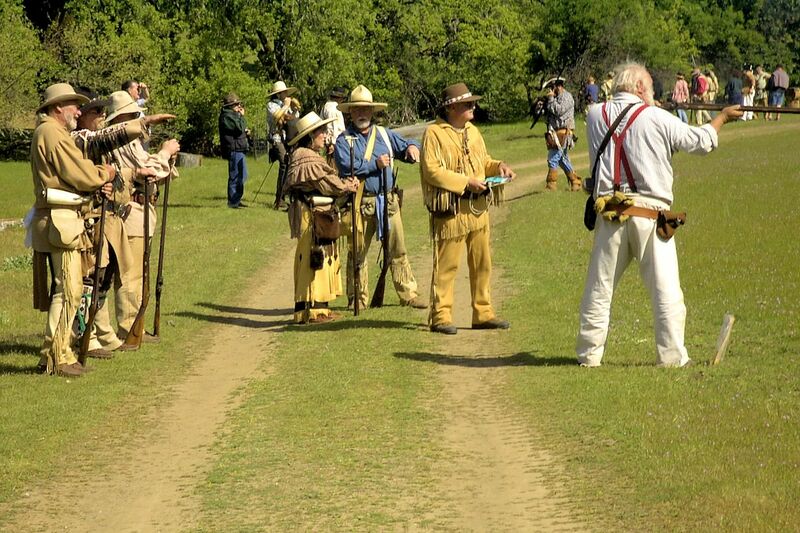 While some rendezvous require strict adherence to period garb and proof of significant primitive skills to participate, the Sonoma Valley Muzzle Loaders Rendezvous is more relaxed. Although pre-1840s dress and camps are encourages, members are just as likely to sleep in a fully loaded RV as they are in a period appropriate teepee. The Sonoma Valley Muzzle Loaders, hosts of the rendezvous, are a group of men & women that celebrates the skills of surviving in the pre 1840s. We hold monthly shoots and an annual rendezvous and treks. We shoot period correct trade guns, rifles, and pistols as well as practice hawk & knife throwing and flint and steel fire starting. We welcome all interested parties to join us at the spring rendezvous and fall trek. Shooting events include simulated duels, knocking down silhouette targets of chickens, turkeys, pigs and even squirrels, and even seeing who can snuff out a candle flame with a bullet. Only contained, attended, and above ground fires allowed. This is a very pretty site (and a working sheep ranch,) with a small stream running through it. Bring water for drinking and washing. The water on site is non-potable. We are restricted to the areas we have rented. Please do not go into the hills surrounding the valley floor. * PeeWees under 12 shoot Rifle Trail for free. Directions: From Hwy 101 in Cloverdale take Hwy 128 West for approximately 12.5 miles. Sonoma County played a key role in the fur trade. The Russian-American Company, worried about the dwindling supply of sea otters in their hunting grounds in Alaska and the northwest, established Fort Ross on a bluff north of Bodega Bay in 1812. The colony would serve as a hub for Russian and indigenous hunters and traders until its abandonment in 1842. This marine-based commercial fur trade in California, which was dominated by British, American and Russian companies, focused on selling luxurious sea otter pelts mostly to China. The Sonoma Valley Muzzle Loaders has been around since 1973. Until it closed in 1996, members shot at the Cotati Rod and Gun Club. After the club closed, members were forced to find a new site and headed north, Tognetti said. Club members now meet up to shoot monthly at the Marie Hill Ranch rendezvous site, which is on private property off Highway 128. The annual rendezvous is a much larger affair that runs from Thursday to Sunday and is held in April. Mark your calendar today so you don’t miss the next Sonoma Valley Muzzle Loaders Rendezvous in April at the Marie Hill Ranch in Yorkville, California.